Get 20% off your theme purchase! 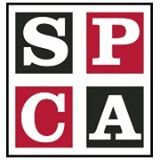 Part of each sale from this site goes to supporting those who help give animals a voice. This is Ringo, my 2 year old Boston Terrier and best friend. I adopted him from a friend who could no longer take care of him over two years ago. We’ve been inseparable since.